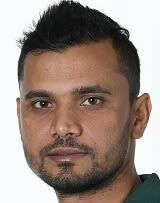 Mashrafe Bin Mortaza was born 5 October 1983 in Narail District, Jessore. He is a Bangladeshi cricketer and the current captain of the national side. He broke into the national side in late 2001 against Zimbabwe and represented Bangladesh before having played a single first-class match. Mortaza is considered one of the fastest bowlers produced by Bangladesh, usually bowling in the mid-80s mph (130s km/h), and regularly opens the bowling. He is a useful lower-middle order batsman, with a first-class century and three Test half centuries to his name. Mortaza's career to-date has been hampered by injuries. 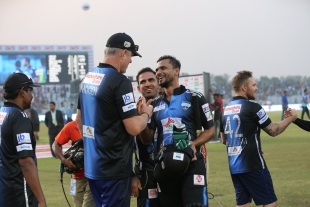 Young, quick and aggressive, Mashrafe Mortaza has emerged as the leader of Bangladesh's pack of upcoming young pacemen, although fitness remains a problem. He made great strides under the tutelage of Andy Roberts, working on his stamina, and he was given his first Test cap against Zimbabwe at Dhaka in 2001-02, in what was his first-class debut - indeed by mid-2006 he had played only seven first-class matches outside the Test arena. 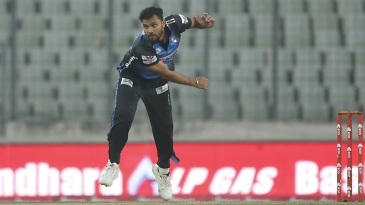 Find Mashrafe Mortaza profile and stats of batting, bowling and fielding including latest updated news of Mashrafe Mortaza, videos and images at Hamariweb.com. Also find detail Player profile and career statistics of Mashrafe Mortaza of Bangladesh. Mashraffe bhaia you are my favourate paicer in Bangladesh. Hi Mashrafe i am your big fan.dont worry you will come back soon with great performance just go ahead and all the verry verry best bye. your number one fan FARIEA, MAGHBAZAR, DHAKA. Hi..............Mashrare take my cordial love.I hope u will give us a good performance.I am your one of big fan. Mashrafe Mortaza - Find Mashrafe Mortaza of Bangladesh Cricket Team complete player profile, number of matches, runs score, wickets & catches, Statistics, Records, Mashrafe Mortaza Latest News, Mashrafe Mortaza Videos, Mashrafe Mortaza Photos, and other Mashrafe Mortaza Cricket Team players.